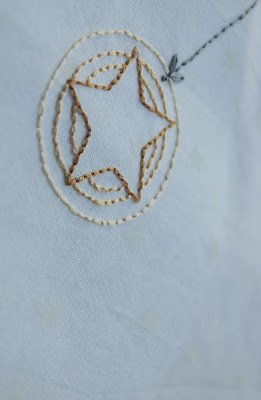 I know, what few posts I have written lately have been about anything BUT embroidery. But I assure you that a stitch or two have been made here in the past month or so. It just hasn't been as easy recently as it has been in the past. Ever since the move it seems our family rhythm has been changed up a bit and the schedule has been jostled. I'm finding myself with less creative time than I was used to just a year or so ago. I try not to crab about it too much. This little star is part of a little project whose fate is yet to be determined. I will be sure to update on that however, when I know what will become of it. And then I have this funny little project for a friend in the works. 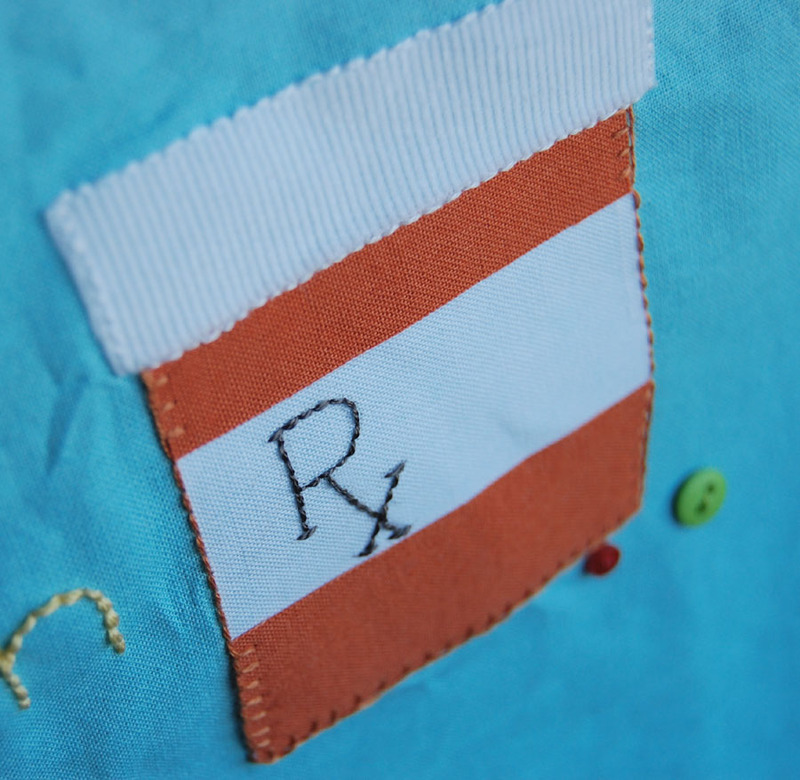 Just some prescription drugs all stitched up, that's all. 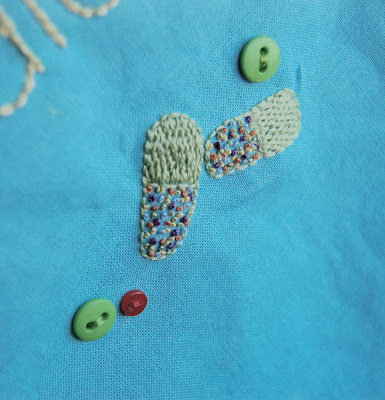 And yes, the little buttons are supposed to be pills. There is text included but I don't think I will share due to it's overt reference to recreational use of prescription medication. The only reason I can make jokes about this not-so-funny subject with this particular friend is because we have been through a LOT together and our shared humor has grown darker over the years. Personally I find that to be one of the most delightful side effects of long-term friendships. But, it doesn't always make for good blog-fodder. It all looks just fabulous. I love your embroideries - wish I was half that talented! ?